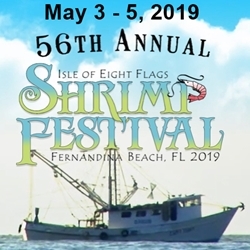 Fernandina Beach and Nassau County's Goodwill Ambassadors to the World! 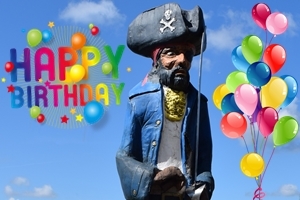 The seaport village of Fernandina Beach is full of rich history and amazing architecture, but it was once a stomping ground for pirates, too, and on October 6, the community is celebrating Peg Leg Pete's 40th Birthday! 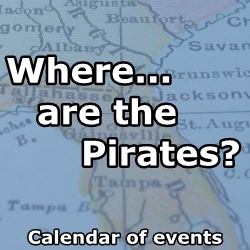 The Fernandina Pirates Club is made up entirely of colorful and lively volunteers who have served their community since 1973. 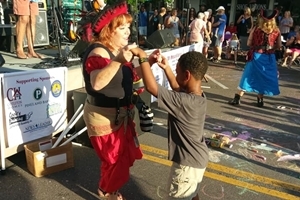 Both the City of Fernandina Beach and Nassau County have given the Fernandina Pirates Club proclamations declaring them as their goodwill ambassadors to the world. 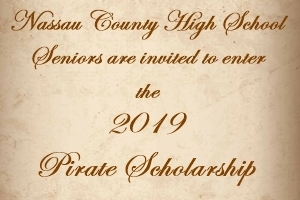 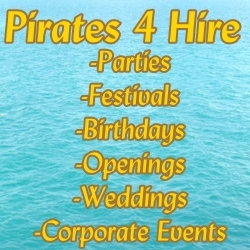 Operating as a non-profit corporation, the pirates conduct blood drives, fund two scholarship programs, promote the annual Isle of Eight Flags Shrimp Festival, and entertain kids of all ages at a wide variety of schools and other non-profit organizations.